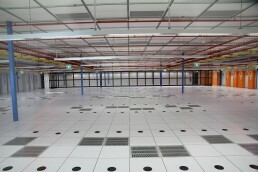 The Equinix Data Centre, once all stages are complete, is a large project in the technology and telecommunications world. 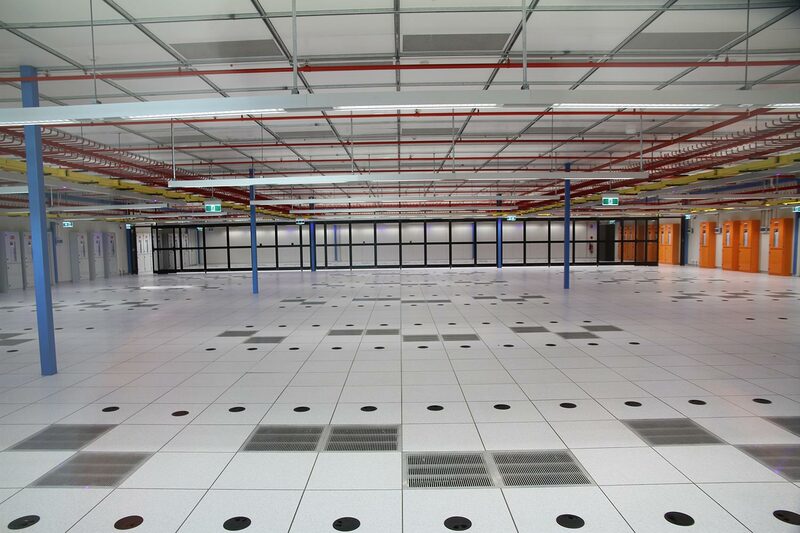 A thorough understanding of data centre equipment and functionality were required in order to deliver a successful access floor. Common issues like high rolling load areas, zinc whisker elimination, and air and duct requirements all were addressed in this project. The corridors in this project were classed as high rolling load areas and so our 6.6kN Industrial Grade access floor panels were used. ASP Access Floors specially designed bridging stringers were used in corridors to span a width of 1.8m unsupported and carrying a panel load of 6.6kN. The bridging was re-engineered and project specific so that it could be incorporated into our flooring system. All under structure components were finished with a hot dipped galvanized finish eliminating the problem of zinc whiskers commonly found in data centres. Other ASP accessories such as air grilles along with factory and site cut outs were used on this project.